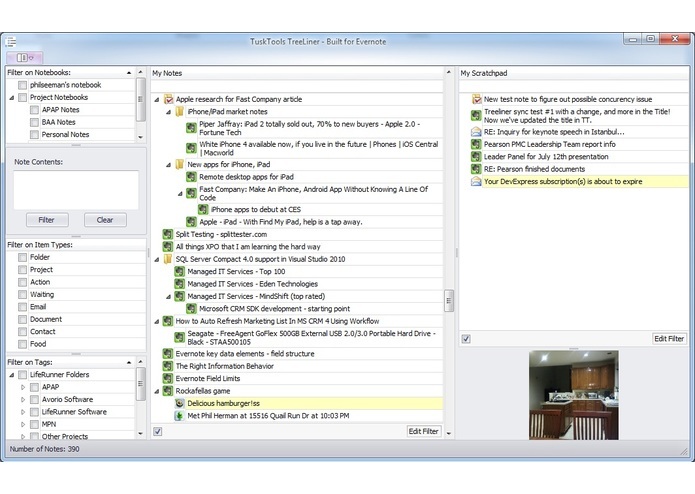 TuskTools Treeliner allows you to manage any or all of your Evernote information in an outline tree format. Use it to organize writing and research, projects and tasks, class notes, you name it! In addition, it introduces Item Types to your notes, so you can distinguish between different types of notes within your outlines.